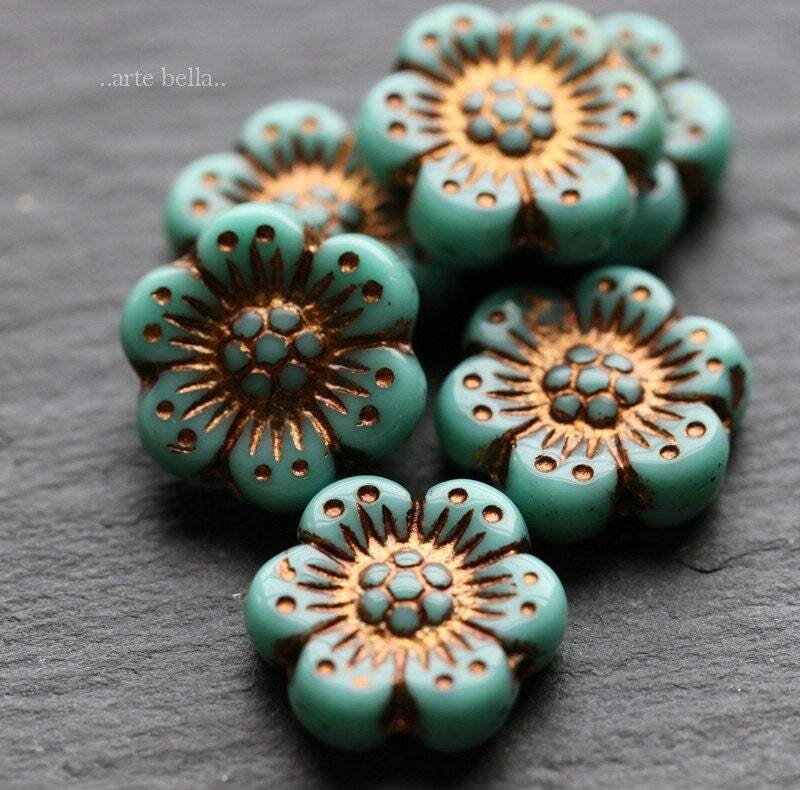 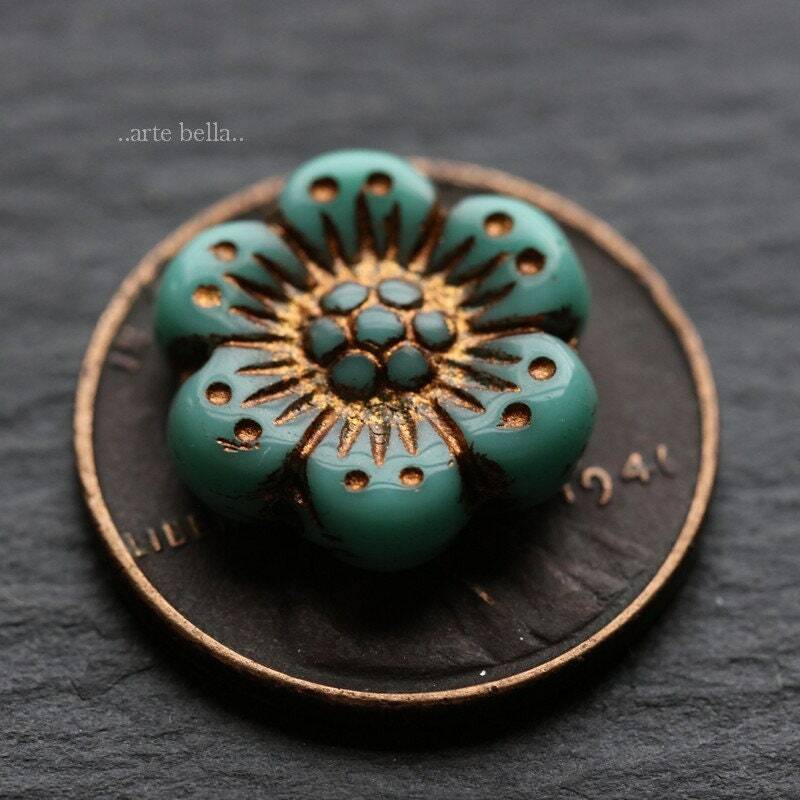 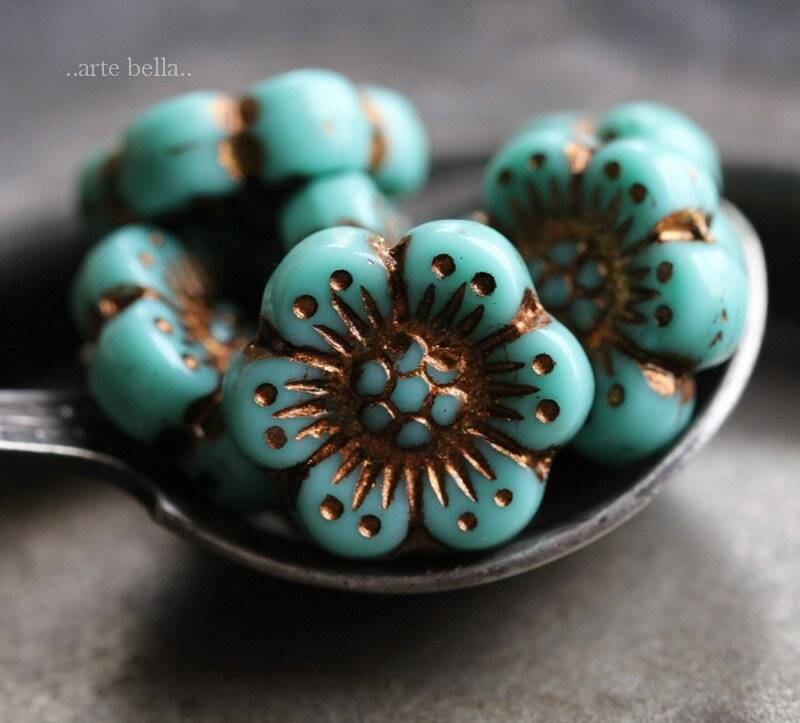 Carved wild rose beads in a opaque turquoise glass with a bronze metallic wash.
Beautiful! 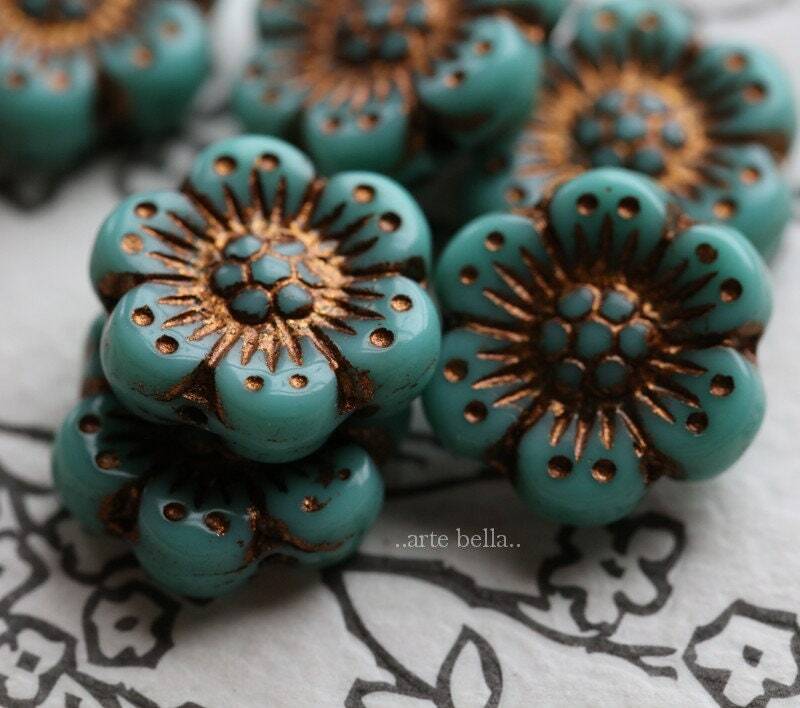 So glad I found this shop!! 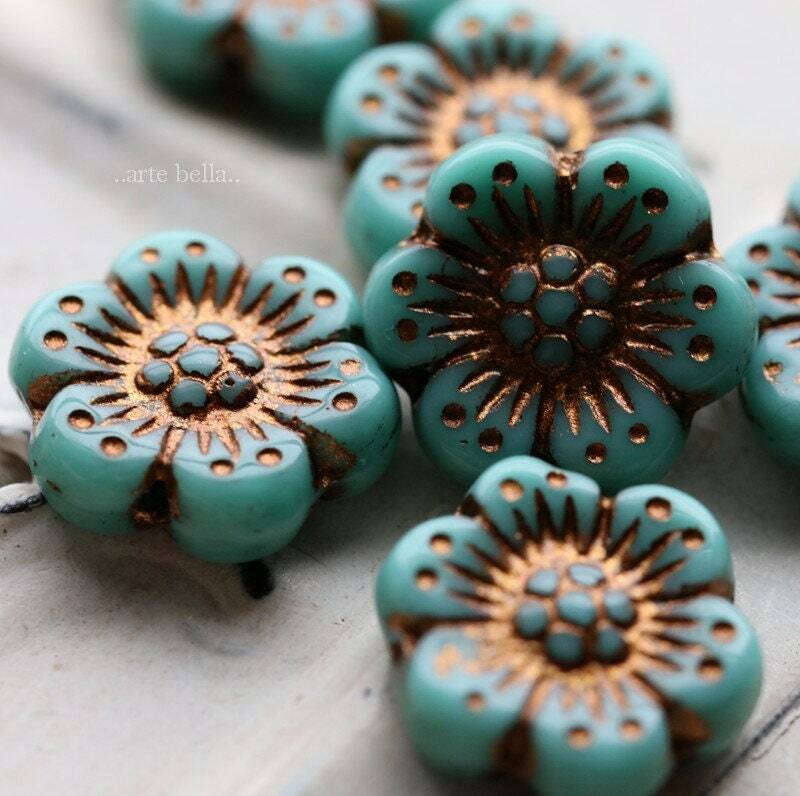 Everything I received was just as described and exceeded my expectations.